HR Knowledge is a respected administrative services organization offering HR support services Connecticut business owners and leadership teams can rely on. Our services and solutions are designed to help small to medium sized businesses, high tech companies, non-profits, and private or charter schools to manage their HR requirements effectively. Located in MA, our organization is perfectly situated to serve all of our Northeast clients, providing top-notch HR solutions. When running a business, focusing on employee matters can take up too much time. Unfortunately, many small to medium sized businesses don’t have the internal resources needed to maintain a fully functioning HR department. From benefits and payroll, to legal matters, quality of work, and so much more, managing a workforce of any size is more than just a full time job. That’s why HR Knowledge provides affordable HR support services Connecticut business owners can rely on to streamline their HR needs, and keep their organizations on track. When you turn to HR Knowledge, we take the time to get to know you and your business so that we can help how and wherever we are needed. For top quality HR support services, Connecticut business owners can turn to HR Knowledge. 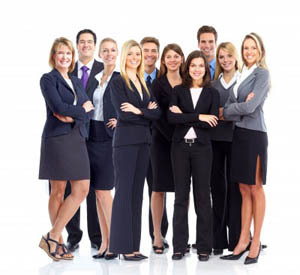 Our team of HR experts are highly equipped and capable of managing any number of HR functions. With over 100 years of combined experience, you can rest assured that you are in good hands with the reliable team at HR Knowledge. From recruitment and training, to employee benefits, performance incentives, legal compliances, and so much more, our solutions are designed to help any client however we are needed. To learn more about how we can help you, visit our website, or contact us today. When you turn to HR Knowledge, you will see what makes us different. We offer our clients concierge-level service with everything we do. Growing your business from the inside out is always our top priority. We want to help you by effectively and efficiently streamlining any of your HR needs through our affordable services. Contact us online, or give us a call today at (508) 339-1300 to learn more about our HR support services. Connecticut business owners can count on the affordability and dependability of HR Knowledge as their trusted HR service provider.